It’s Feature Friday and today I’m featuring 5 crazy cool projects to try. These were linked up to our Inspire Me Monday party. Big or small, all of these projects are quite creative and are budget friendly! Click the links above each photo to see the tutorials. Wake up a boring wall with a punch of personality… and a pen! 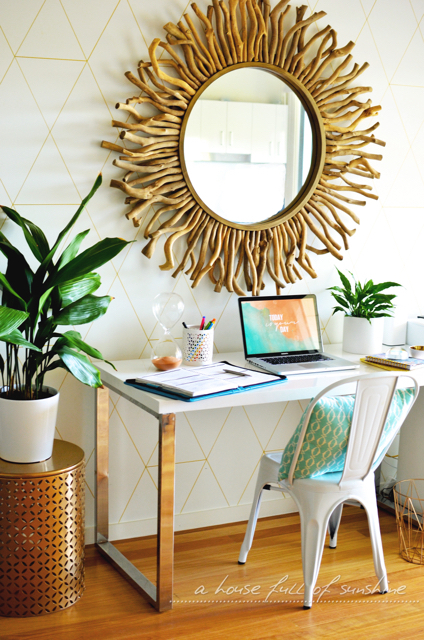 A House Full of Sunshine gave her study a makeover with gold paint pen wall treatment. 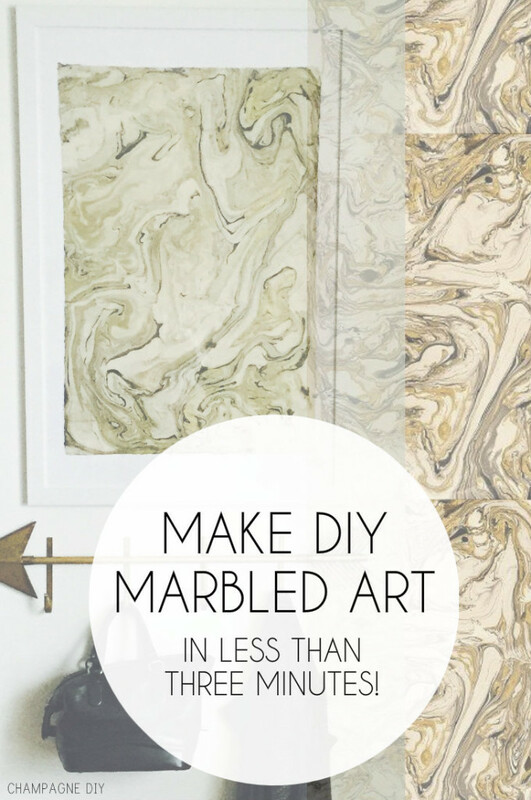 Do you have an empty wall that could use a statement piece of art then try this crazy fast and easy Marbled Art by Champagne DIY. 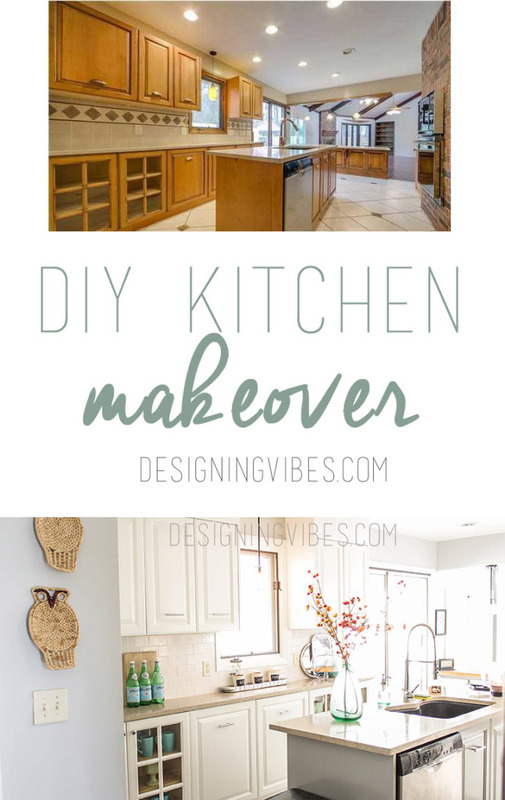 You will love looking through the before and after pics with this amazing DIY Kitchen Makeover ~ via Designing Vibes. It just goes to show you that you do not have to spend a lot of money to completely transform the look of your kitchen. Gorgeous holiday decor doesn’t have to be expensive. 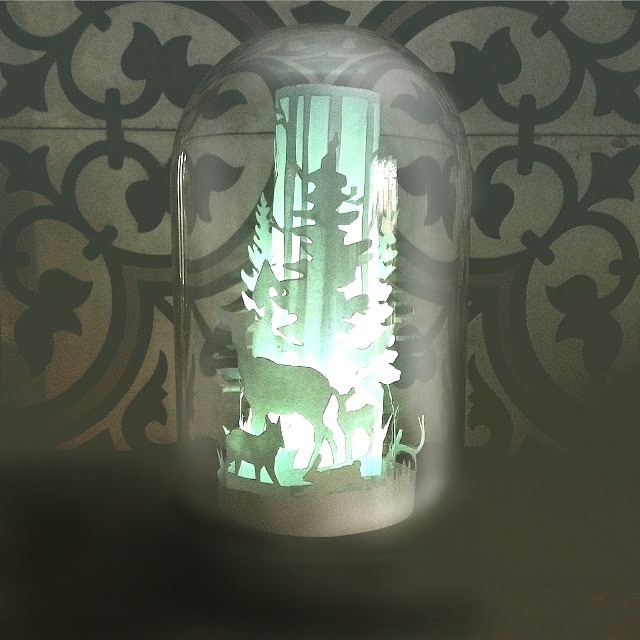 These DIY Cut Paper Christmas Luminaries ~ via Howling at the Moon are so beautiful. They are made from a piece of paper! 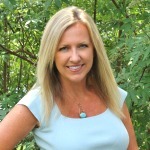 She provides links to the templates for you too. Here is another simple project that is perfect for the holidays. 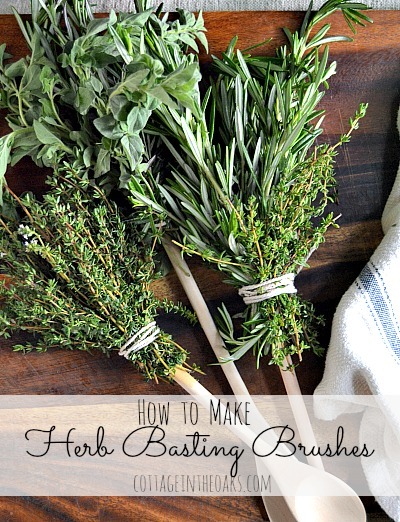 These DIY Herb Basting Brushes by Cottage in the Oaks would make a nice hostess gift. Thank you so much for featuring my kitchen renovation. I am truly honored. Your kitchen reno blew me away… seriously, you demonstrated how you can totally transform a space with just a bit of paint and a lot of TLC. Bravo! (PS- I’m pinning it to the Better Homes & Gardens board!). Thank you so much for featuring us! We really appreciate it! All of these crazy cool projects were so interesting. Really loved the kitchen reno! Thanks for inspiring us all!